There is something new in Gmail to build rapport with your contacts called 'Rapportive'. Rapportive is a new browser plug that allows you to do a Strengths, Weaknesses, Opportunities, and Threats(SWOT) analysis of any person in your inbox! With Rapportive installed in your Gmail account, it will scan all major social network websites and store stats for each of your contacts. Install it to your browser from Rapportive.com. Next time when you log in to your Gmail account you need to log in to Rapportive to use the plugin. As soon as you click on it, it will ask permission for default logging in for the future. After activating Rapportive, on the right hand side of any email you get the details of the person such as name, photo, occupation along with the details of one's online activities like in twitter, facebook, linkedin etc. You can control the details that will be visible in your public profile. Move the cursor over the details to edit, delete or add. You can add one or more occupations. Watch out! It talks about you too. So if you do not wish others to see any of your social network activity you just have to remove it from your public profile. Rapportive has a long list of social network sites which you can add to your list. 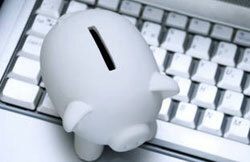 Wanna enhance your inbox even more? Use raplets. Raplets helps you to have special tabs to manage activities like your reservations or on-demand radio shows. With the constant development of Gmail 3rd party plugins, Rapportive is a great example while Google will be dominated the Internet for a very long time! "etacts" and "webmynd". All these plugins have taken E-mail experience to another level and increased the data gathering power of the users on the social web. Looks like google is always 1 up on anything. With Rapportive I guess this gives an opportunity to have your business and personal information all sorted out and enhance the usability of contacts and other such related information. Rapportive is sure to have a wonderful rapport with its Google users. Hi Jay, when you enable rappportive, it will gather your social media details with your id. Only if the sender too has installed the plug-in you will be able to view his social activities! And as of now only Gmail has this tool added to its service. I'm just curious to know how my gmail account is connected to social media. When i installed Rapport, it didn't ask me any details. i think the only way to identify the social media account is through email address. But will it work when a non-Gmail email address is given for social sites? Rapportive is really rocking Tina. Thanks for the information..
We can know all the details of the person from this wonderful 3rd party Plugin. Hope this will help to gain insights of the users from this little Plugin. 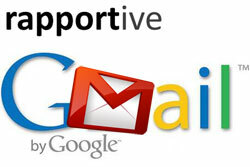 Hope more gmail plugins will be coming from the Rapportive competatr's soon..